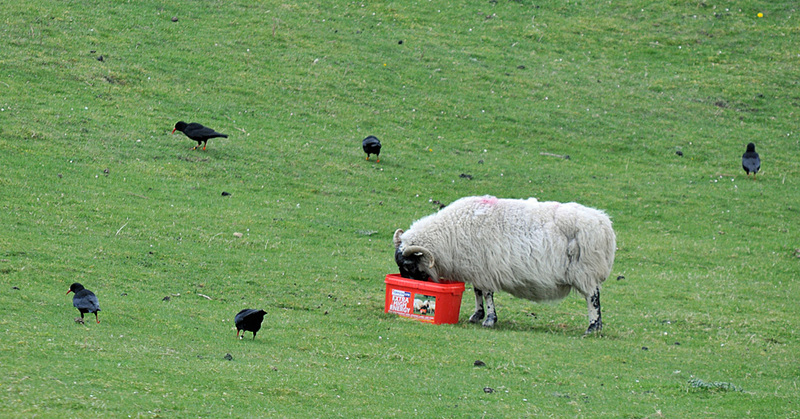 Sheep and Choughs in harmony at Ardnave, one of the strongholds of the Choughs on Islay. This entry was posted in Cloudy Weather, Landscape, Repost, Wildlife and tagged Ardnave, Choughs, Islay, sheep by Armin Grewe. Bookmark the permalink.